How to Perform Social Media Audit for your Brand? Companies conduct tax audits to detect if there are anomalies in their operations. Much like how they conduct tax audits, social media audits are done to evaluate if your plans work as well as they should. You track your page activity, audience, following, and financial investments on your accounts. The most important thing to check is if your social media strategy is in line with your brand and keeps your brand relevant. 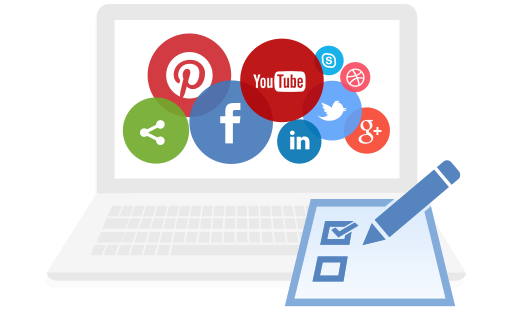 Essentially, a social media audit says if your efforts on social media are effective. It doesn’t have to be as complicated as it sounds, though. 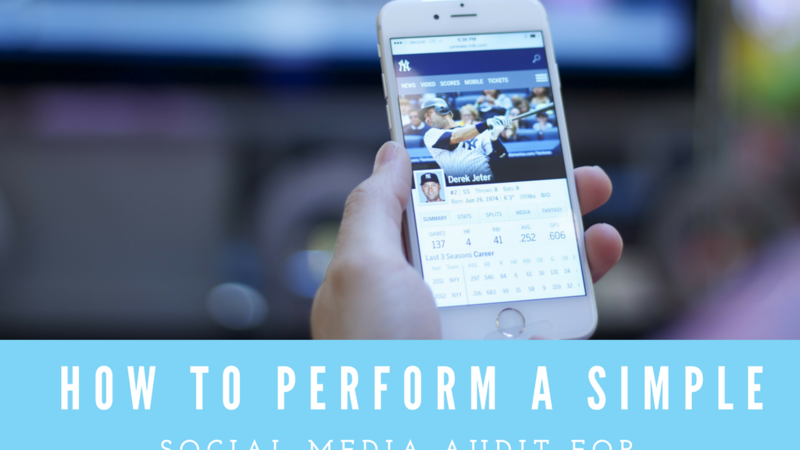 To guide you, here are five steps to follow when you do a social media audit. Your brand’s profile must be well established throughout all your social media accounts to make your presence strong in social media. Do not only maintain your profile in household names such as Facebook, Instagram and, Twitter but also for lesser-known networks such as Google Plus, LinkedIn, and other less popular sites. You can also venture in creating profiles on employment websites. Even if it’s good to create online presences in different networks, you should only maintain accounts that are useful to you. You must have a strong reason for why you set up an account; did you do it for the security of your brand or did you want to achieve goals? Aside from that, you can base how useful your network is on the usage of your target audience. Answering the questions above is usually enough to determine if you should still push through with the account. With the help of SEMRush, you can easily track mentions of your selected keywords and directly interact with your audience. For now, they are focused on getting the most out of Twitter for it is the leading B2B (business-to-business) amongst the social networks, but it had also previously covered Google+. Upon gathering your audience’s demographics, you can break down your buyer persona and target how you can deal with your audience. Do they have shared interests? However, demographics across all social platforms are not necessarily the same. You should determine the difference between the demographics on the site and find the reasons for the difference. Does your audience on a specific network prefer this content in comparison to the audience of another network? With this knowledge, you would need to consider personalizing your promotions for each platform to maximizing your reach to your audience. Besides knowing the demographics, you may also consider learning about the psychographics of your audience. These are the qualitative characteristics of your audience such as traits, values, attitudes, interests, and lifestyles. This information about your customers will help you know what kind of treatment you would need to approach them on social media. For example, your top groups of the audience are avid fans of football; you may want to incorporate football into your promotions to pique their attention. It takes a lot of effort analyzing the specific details, but it can give a lot of benefits to your social media strategy. Also, these details can help you accurately target and get the attention of your audience. With the knowledge you have now about your target audience and their physical and emotional characteristics, you may now start monitoring and watching about your performance on your social media platforms. The main aim of monitoring is to ensure your maximum presence and visibility for your audience and to guarantee that your platforms are posting with high-quality content. Remember not to create inconsistencies between your social media platforms. You should keep an eye for it. For example, your response time across all platforms, is it equal on every site? Do you respond quicker on Facebook than your email? Is your company’s visual branding evident on all platforms? Is your tone of talking to your customers through messages and captions same on every platform? Assure also that your profiles are practicing best tips for formatting. Facebook is a good example of a platform that updates its layout every once in a while. It allows you now to display a user-picked pinned post on the top of your company’s timeline. Another example is Pinterest and its new feature to showcase your brand within a few seconds. Adopting these updates on different platforms will get your audience’s attention and give some advantages to your business. How they are presenting themselves through their bios, profiles, etc. Whether they have influential people, who follow them. You need to learn how they move and strategize on their social media platforms. You can use this in auditing your own social media account. Another thing is to analyze their number of follower’s and liker’s, how frequent they are posting, how high the level of their engagement, and what kinds of contents are they posting in their accounts. This strategy can give you a step ahead of your competitors. It can also give you a perspective on your efforts and see if you are doing your work right. Lastly, it can offer you to know many openings to boost your plan and strategy. Now that you know what to do, it’s time to get started. Social media Auditing does take a lot of effort so it can be a little intimidating for a beginner in social media auditing. With the use of special tools, auditing is made to be much easier as it seems. All the effort and investment in auditing is worth it when seeing your struggles are compensated. With the results of your audit, you already have a rough guide of things that do not work and will work for your brand. Smartly use that to evaluate and improve your strategies so you can make the most out of your efforts and eventually, find success.